Mathematics is not every student’s best subject. The statistics of mass failures churned out in qualifying examinations across the country can attest to this fact. However, there are still quite a number who have excelled greatly in the subject. Prof. Mohammed Ibrahim is one of such. He has spent his whole life around the subject-studying it, teaching it, and teaching people studying to teach it. Now, the President of the Mathematics Association of Nigeria, he gives Saturday School Life, SSL, into why students fail the subject, and what can be done about it. Tell us about the Mathematics association of Nigeria? It was established over 53years ago in Nigeria with branches across the thirty-six states of the federation and FCT. M.A.N boasts of over a hundred thousand active members nationwide being the oldest of Mathematical bodies across the nation. 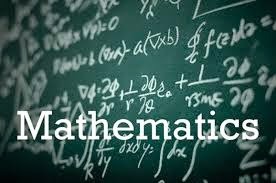 Many students see Mathematics as a difficult subject, as a result, the mass failure of the subject in WASSCE, NECO, UTME and other qualifying examinations. Why do you think this is, and what can be done to improve the situation? Mass failure of students in Mathematics may be attributed to many factors which can be categorised under two sub-headings namely; Teachers’ influence and Students’ mentality. Teachers’ influence in mass failure of Mathematics can result from poor teaching techniques, inability to make the subject practicable and simple, poor knowledge of the course and so on. Student’s however contributed immensely to mass failure of Mathematics due to apathy or hatred for the subject; Laziness/Lazy attitude to studying the subject; Seeing the subject as abstract or non-practicable; Working in isolation or neglecting group studies; Having a negative attitude towards the subject or the teacher; Lack of textbooks/teaching materials among others. The mass failure can be eradicated if the following measures amongst others can be taken by updating the teacher on new teaching techniques of the subject; equipping the library with recent and updated textbooks; making the learning environment conducive for both the teacher and the students/pupils; and making the learning of the subject practicable for the pupils to admire it. Apart from some students’ apathy towards the subject, what other challenges are facing Mathematics in Nigeria? Other challenges facing Mathematics education in Nigeria are the lack of qualified teachers, poor learning environments, lack of teaching materials/textbooks and small scale Mathematics competition among students. Why is Mathematics important for every student? Mathematics is important for every student because it is the bedrock of other subjects. Another thing to note is that adequate knowledge in Mathematics boosts reasoning faculty of students. Knowledge of Mathematics helps students to understand their environments better through thorough analysis of the existing fact. These challenges can be surmounted by upgrading the standard of education through equipping each school with necessary textbooks, employing competent teachers for the subject and providing adequate infrastructural facilities for schools. Another area to be looked into is that of providing competitive platform for students to rub minds and grow; just like the Mathematics competitions I mentioned earlier. Improving the welfare of Mathematics teachers and giving scholarship to the best Mathematics students’ at all levels- primary, secondary and tertiary will serve an incentive for students to strive to do better. What are the upcoming programmes of the Association?